Better and Cheaper Chinese Food than most spots in San Francisco! Crystal Jade La Mian Xiao Long Bao is an casual dining sit down Chinese restaurant located near the arrivals area at the Hong Kong International Airport. Established in 1991, they have several styles of restaurants and many locations throughout China, Singapore, and other Asian countries. The higher end Crystal Jade in San Francisco is not great. 9 of these informal restaurants in Hong Kong alone. We decided to stop there and have a quick dessert after having dinner at marginal Chao Inn. Crystal Jade was touting their Michelin Bib Gourmand rating. Our last visit was in February, 2018. Decor, Vibe – Crystal Jade has clean modern Asian decor even in this small location. The place was obviously filled with fellow travelers. Crystal Jade Menu has a wide variety of items, from dim sum to noodles to large plates. Peking, Sichuan and Shanghai cuisine makes it ripe for being the master of none. Shanghai steamed pork dumplings or Xiao Long Bao (HK$42 for 4) thin, smooth skin, large in size, enormous meatball, and very good soup broth. Surprisingly similar to popular Din Tai Fung’s, although the wrapper was thicker and the soup not as flavorful. In 2011 we dined at Maxims Chinese Restaurant at the Hong Kong airport, and found that their Shanghai steamed dumplings were even better! Pan Fried pork dumplings aka pot stickers (HK $46) had a nice crisp crust, good wrapper, and soup inside. Must order! Milk Tea Cold (HK$24) hit the mark, with deep flavor and condensed milk. Not too sweet too! Glutinous dumpling in ginger soup (HK$24) had sesame paste filled dumplings in a super spicy – gingery soup. The dumplings were of good size and quality, and not too sweet. Rice wine dumplings (HK $23) possessed the heavy Rice wine flavor along with lots of little Rice dumplings. Sweet red bean buns (HK$22) had three small buns with tasty filling that were very good. Sichuan Dan Dan noodles (HK$48) were surprisingly excellent. We could watch the cook actually making these authentic ‘Lanzhou’ noodles by swinging them around. The peanut, sesame broth was very spicy, and the egg noodles were spaghetti thin. They use pork tailbone, chicken, Jinhua ham and dried tangerine peel in their broth. La Mian with Pinced Pork and vegetable wontons (HK$48) had excellent silky smooth noodles cooked al dente, which is not typical of restaurants here. Service – Crystal Jade understands that everybody is in a rush, so ordering, food delivery, and such, occurred fast. We did have to hail the waitress to order and get things done. Value – Prices are very reasonable, making this a great value. Alternatives – Nearby restaurants include the marginal Chao Inn and many other fast food restaurants. Maxim may be one of the better options at the airport. 14 hour transpacific flight? Come on in and get a taste of why you flew this far. 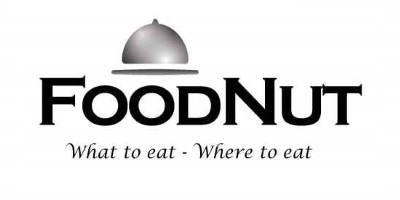 If you see one of their restaurants you then need a decent and inexpensive meal, give them a try. 10% service charge.